The FT10 Nylon Basketball Net is perfect for use on both indoor and outdoors basketball systems. Check out our other premium model as well. 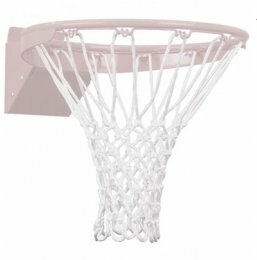 Perfect for indoor or outdoor use, our bright white, braided nylon basketball nets are designed to last. They're lightweight and provide the perfect return on each shot your players sink, and they're sturdy enough to withstand aggressive gameplay.